The 17th century centre of Prague with its swirl of Baroque and Romanesque architecture has been declared a Unesco heritage site. 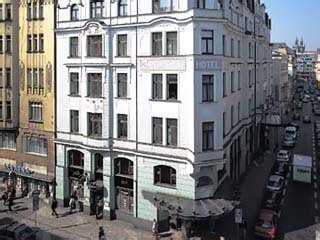 Within this mile-square civic treasure resides Hotel Hoffmeister, inspired by Adolf Hoffmeister ,1902-1973, writer, artist, bon vivant, and created by his son Martin. 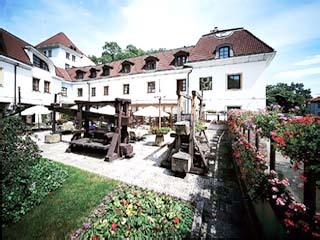 Set at the foot of the Old Castle, close to the city’s many historical landmarks, this family-owned and operated hotel features an art gallery of Adolf Hoffmeister’s paintings and a remarkable collection of caricatures depicting the creme de la creme of the world’s artistic community. The artist’s portfolio includes many of his famous friends - Franz Kafka, Milan Kundera, Salvador Dali, Picasso and Andy Warhol, to name a few. 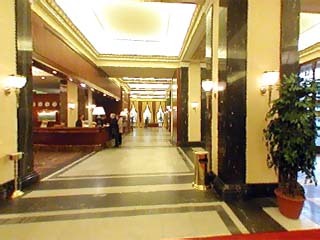 Besides art, there is an easy grace and modernity to Martin’s hotel. It is internationally recognised with an award-winning restaurant, garden terrace, bar, wine cellar, vinotheque and, indeed every comfort of our age. This summer, a wellness spa was opened offering a wide range of therapies and beauty treatments. Hotel Hoffmeister is a truly reflection of the virtues of hospitality and excellence for which Adolf Hoffmeister was well loved in his lifetime. A variety of world-class golfing exists just minutes away from Hotel Hoffmeister. Prague and the Czech Republic are the fastest growing golf destinations in central Europe. 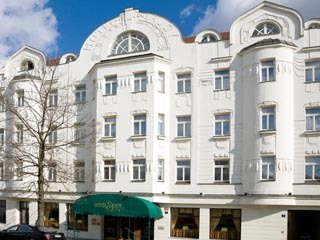 Hotel Hoffmeister is located within a Unesco-protected heritage zone, close to many of the cultural and historical attractions of Prague ranging from Medieval through Renaissance to Modern and Contemporary. Clement Martial and his team, awarded one-star by Michelin and one-toque by Gault Millau, introduce their culinary art in Hotel Hoffmeister’s recently refurbished Ada Restaurant. The fine-dining menu features French-influenced international cuisine, as well as Czech and Wellness gourmet cuisines.